Which sharks and rays were listed at CoP17? 4 shark species and all devil rays were included in Appendix II of CITES at the 17th Meeting of the Conference of the Parties (CoP17, Johannesburg) in 2016. They joined other sharks, rays and sawfishes (elasmobranchs) that had already been included in the CITES Appendices over the past decade. Silky Shark is an oceanic and coastal-pelagic shark with a circumglobal distribution in tropical waters. International trade is a major threat for Silky shark as it is one of the three most traded shark species in the global shark fin trade. Silky shark was listed in Appendix II of CITES on 02/01/2017 (Entry into effect delayed by 12 months, i.e. until 04 October 2017). Thresher sharks are highly migratory pelagic predators, with a circumglobal distribution in tropical and temperate oceanic and coastal seas. The main threat to thresher sharks is fishery-related mortality as target or bycatch species, taken for their fins which are valuable in international markets. All three species of thresher sharks were listed in Appendix II on 02/01/2017 (Entry into effect delayed by 12 months, i.e. until 04 October 2017). Devil rays are slow-growing, large-bodied (their “wingspan” ranges from 1 to 3.7 m) and migratory animals with small and highly fragmented populations that are sparsely distributed worldwide across the tropical and temperate waters of the Pacific, Atlantic and Indian Oceans. Increasing international trade in valuable devil ray gill plates has led to the expansion of unsustainable fisheries, which was largely unregulated and unmonitored. Their biological and behavioural characteristics make them vulnerable to overexploitation in fisheries and slow to recover from depletion. 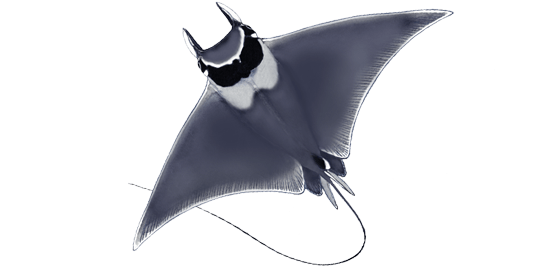 All nine species of Devil rays were listed in Appendix II on 02/01/2017 (Entry into effect delayed by 6 months, i.e. until 04 April 2017). The shark and devil ray drawings on this page are copyrighted material, owned by the United Nations Food and Agriculture Organization (FAO). 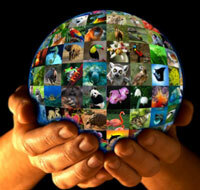 FAO’s endorsement of users’ views, products or services is not implied in any way.